Belly-Off, originally uploaded by lightwriter27. A portrait assignment for the Commercial Appeal. 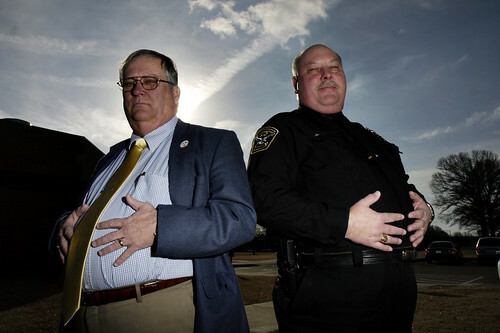 Thought it was kinda humorous these two civil servants were willing to thrust their guts out for me. is the story bout big bellies? big bellies are cool. i’m gunna get me one… eventually. thanks for the comment. you have no idea how much i appreciate the good word.